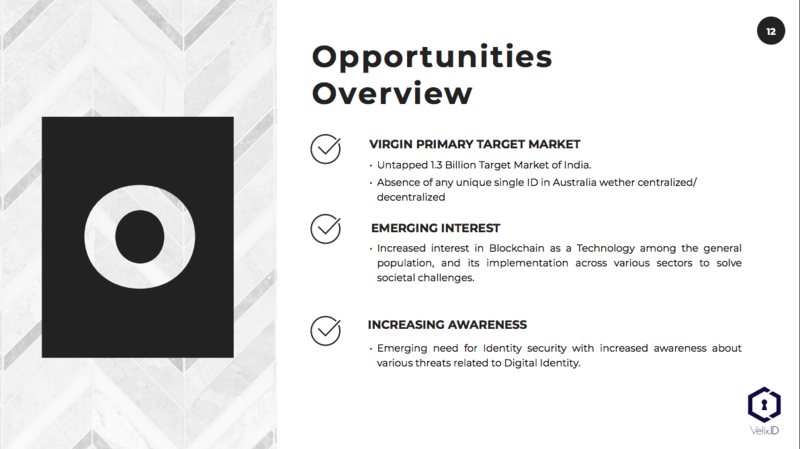 Is that mean we keep our identity on blockchain and use it for any verification process? This looked like CIVIC to me and maybe come out with some compare between both? 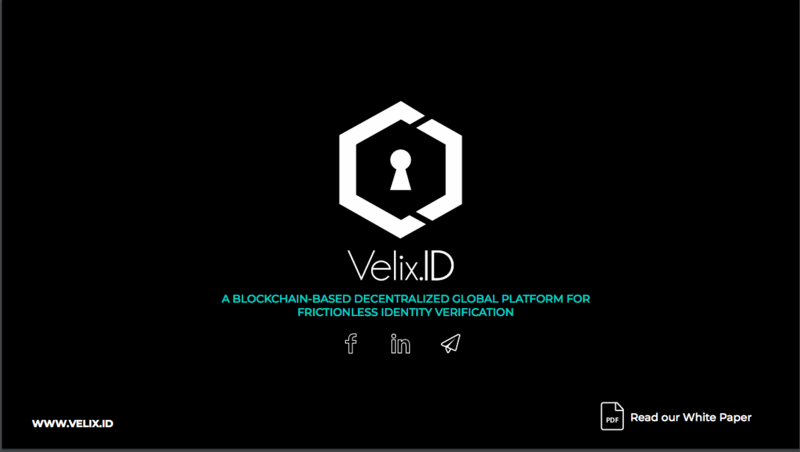 Velix.ID does not let user put identity on blockchain. 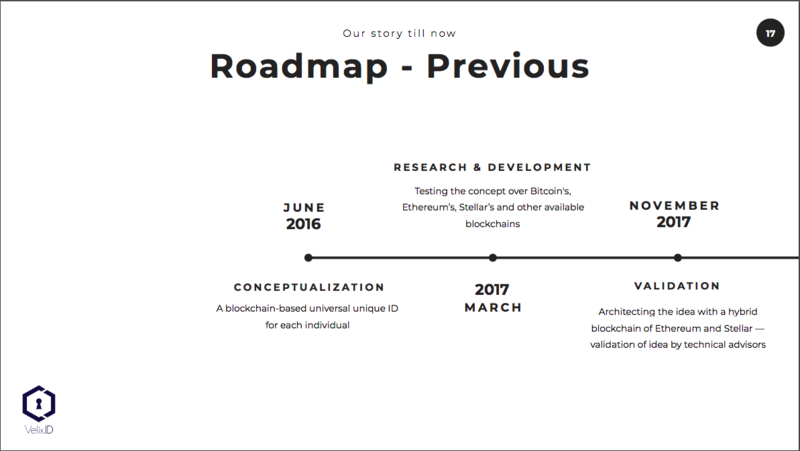 We are a decentralized ecosystem where the data is always saved on user's device. We would be identity verification enablers and not storage. 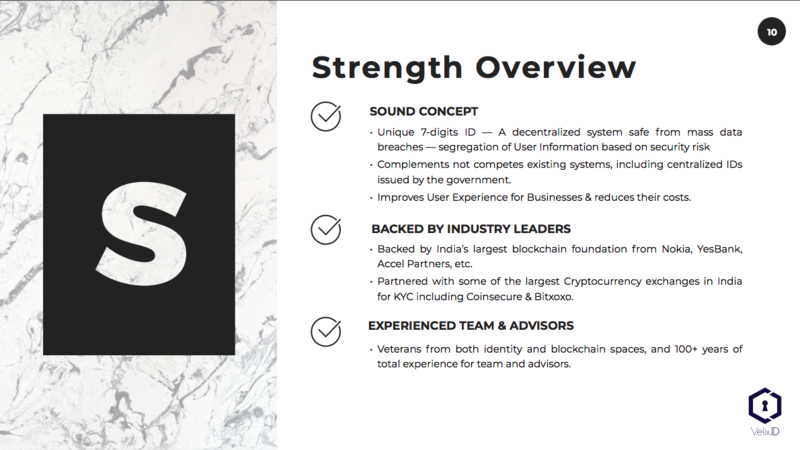 Also, extending on the difference we have with civic, we would like to say that we are solving the same fundamental problems of identity verifications but our approach is absolutely different. 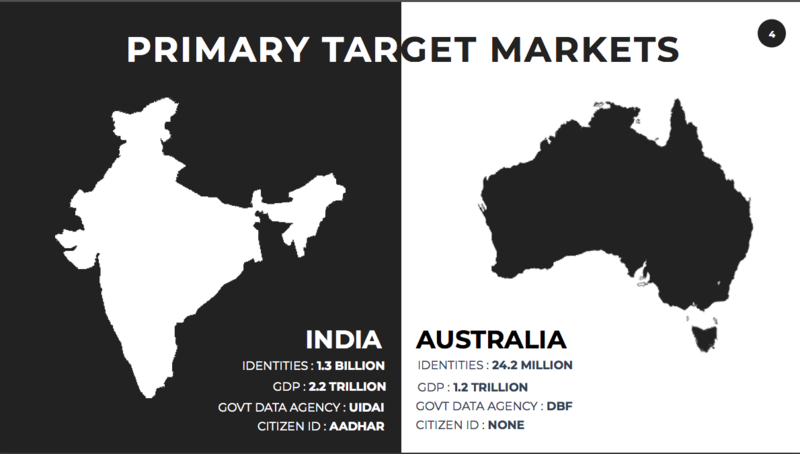 Moreoever, the main difference is in the target market, we are targeting India and Australia with 1.3 billion identities as compared to North America to which civic is catering too. 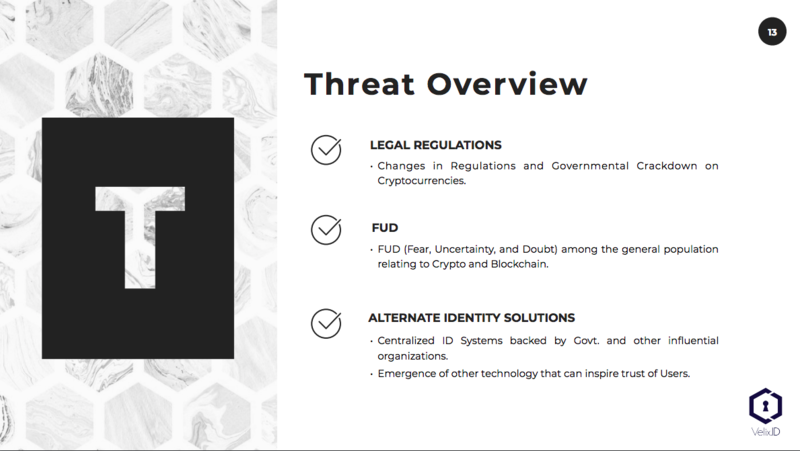 We are also coming up with a blog and a page on our website which would be comparing civic/Velix.ID/traditional identity systems for further elaboration. Thanks for asking the question ! I hope i answered it to your level. This is one a good project. Having the presentation gave to us, it will help a lot more for the project owner to get what he likes. Thanks for the information. What happened if the user's device been hacked by some unknown party? Will they have any access to the information or any encryption that are not easy to crack? This is a fine project. I will keep watching. Thanks. Hello! Can i read your WP? 1. 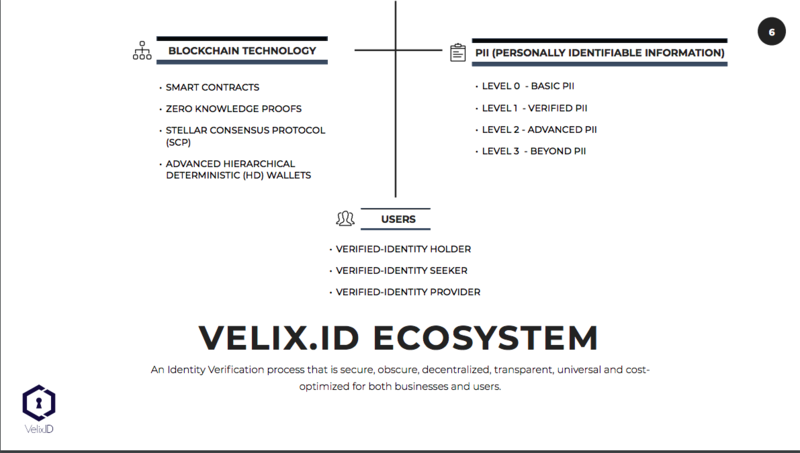 There's a two factor authentical that requires your thumbprint to unlock your Velix ID. 2. 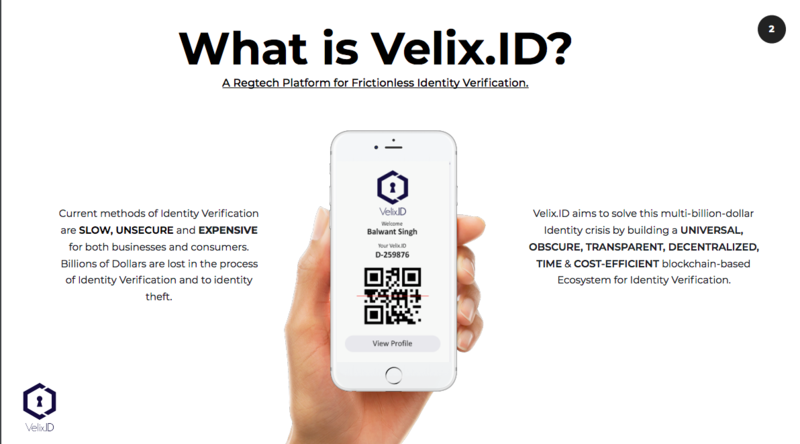 You can always access your Velix ID from another device and permanently disable your lost device, so that your Velix ID can no longer be accessed from that lost device. Definitely! 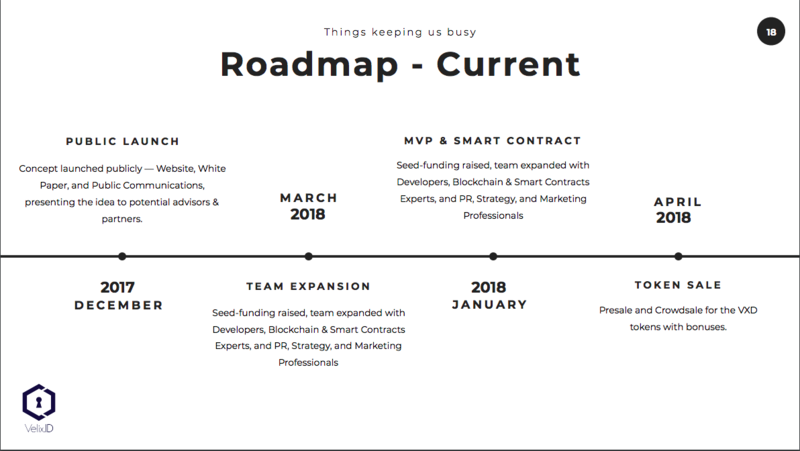 Our Bounty program will be live soon! 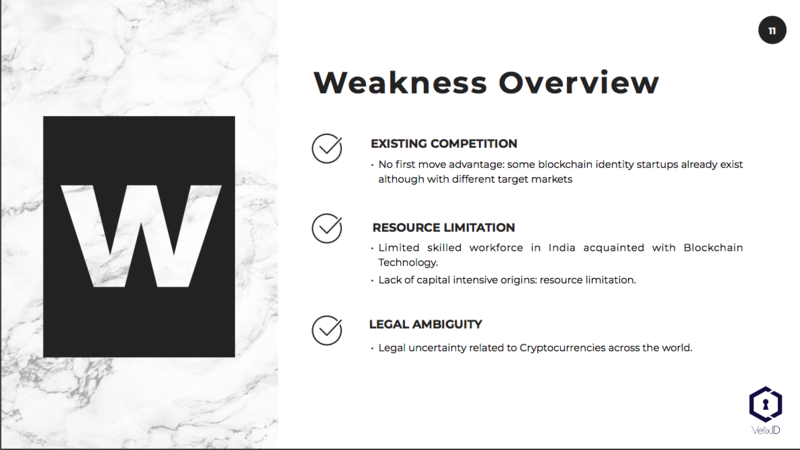 Email us at bounty@velix.id to know more, or stay in touch with us on social media to know when the bounty is announced! 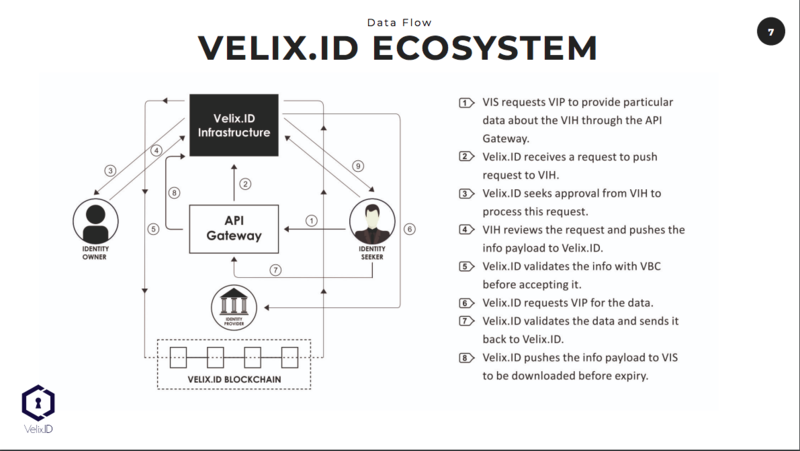 In the Velix.ID ecosystem, the User's information is always stored with them on their own device, and never with Velix.ID. 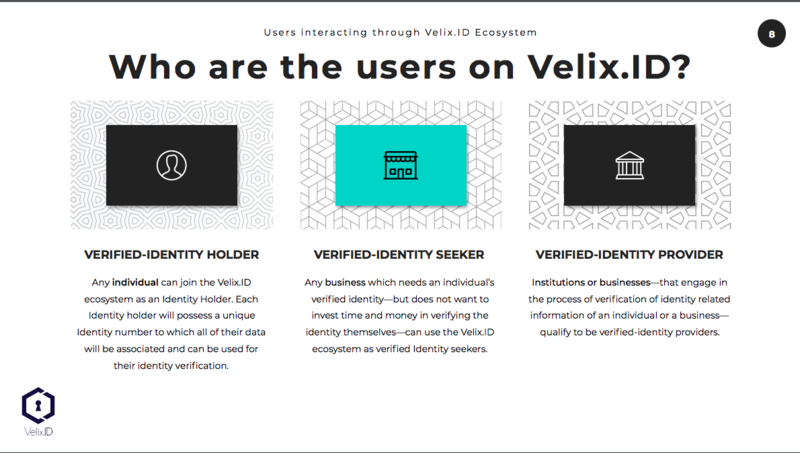 The information is transacted directly to the verified-identity seeker, without any intermediary control from Velix.ID, as long as the consent of the User is present. 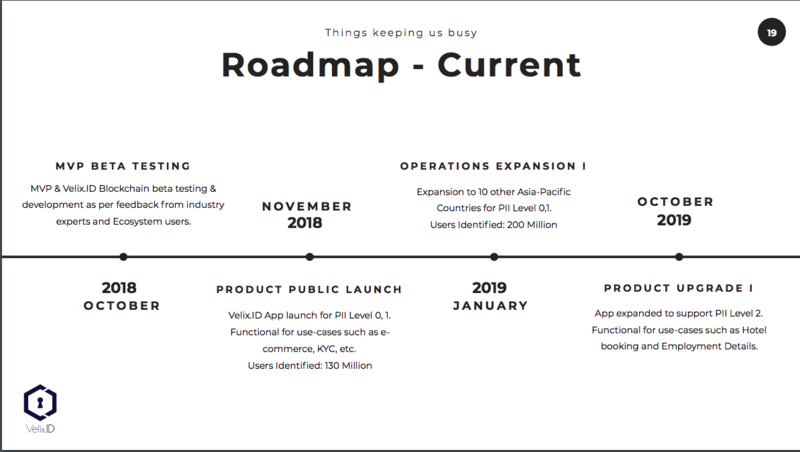 Please do dig in a little deeper into the project, we are definitely trying our best to build a genuine product that helps improve the process of ID verification for both businesses and consumers. Let us know if there are any concerns you have about your identity not being secure on the platform, and we will be happy to answer them! That is so awesome, SeveralIQ! You have a cool website and best of luck with making it popular! 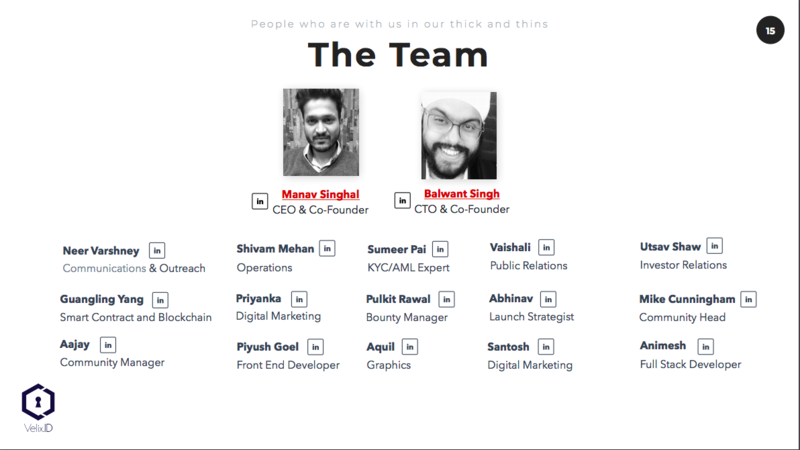 Someone from our team will definitely fill up our profile on your platform. 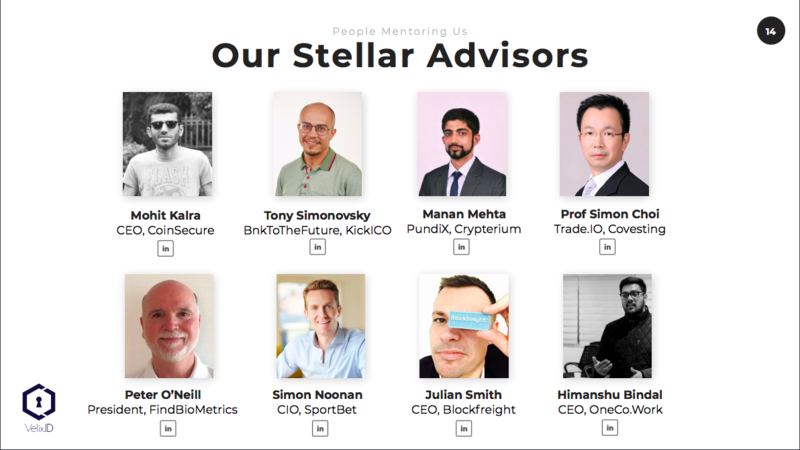 If you want to join our community, get in touch! 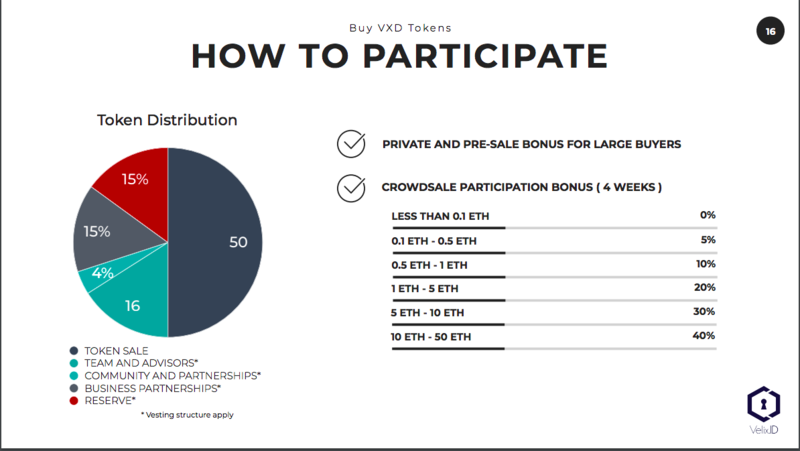 Dev, is there any minimum buy limit for participating in the pre-ICO of your project? 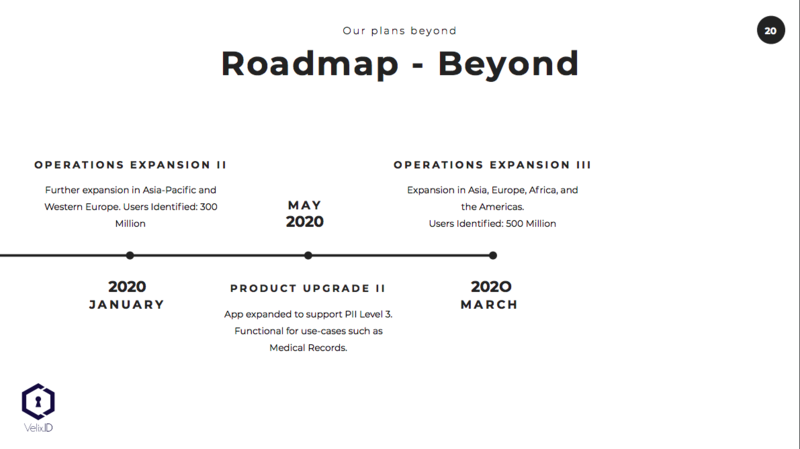 So there are two pre- ICO phase, in 1st phase minimum required amount is $5000 with 40% discount and in 2nd phase minimum required amount is $1000 with 30% discount. If there is any questions please feel free to ask..We will be happy to answer them. 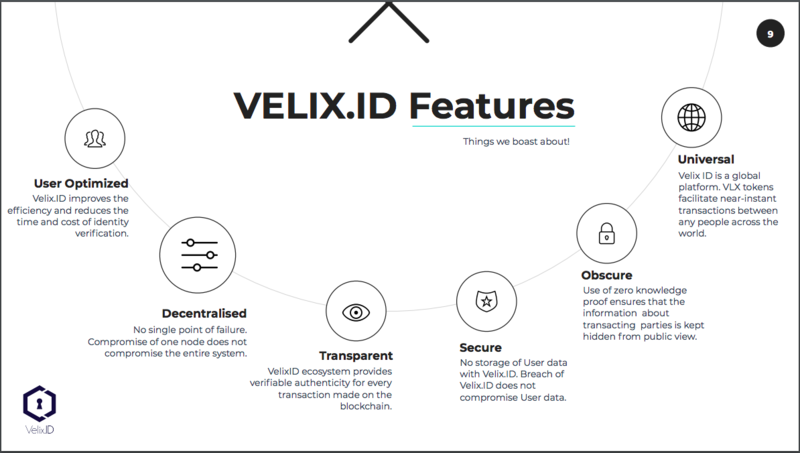 With Velix ID, user always keeps his personal information under control and can share it with anyone he wants - there is a unique 8-number alphanumeric password, that one can set to protect his personal information. 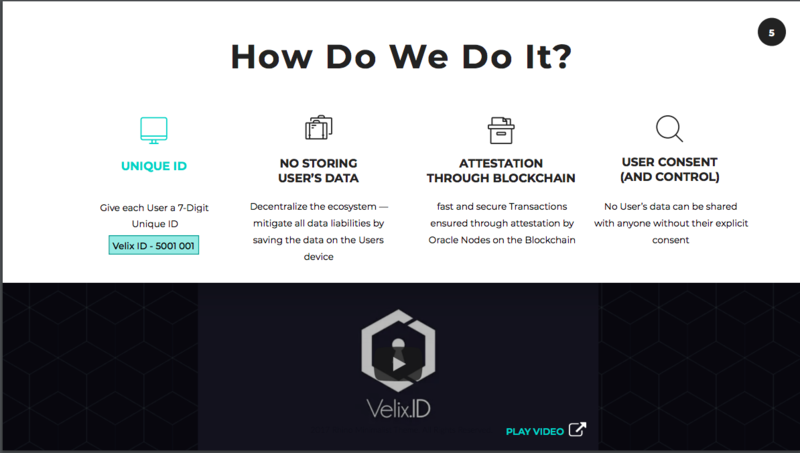 Velix Platform puts data on encrypted public ledger - no data transaction can occur without the authentication of the ID’s holder. It is simple and effective. 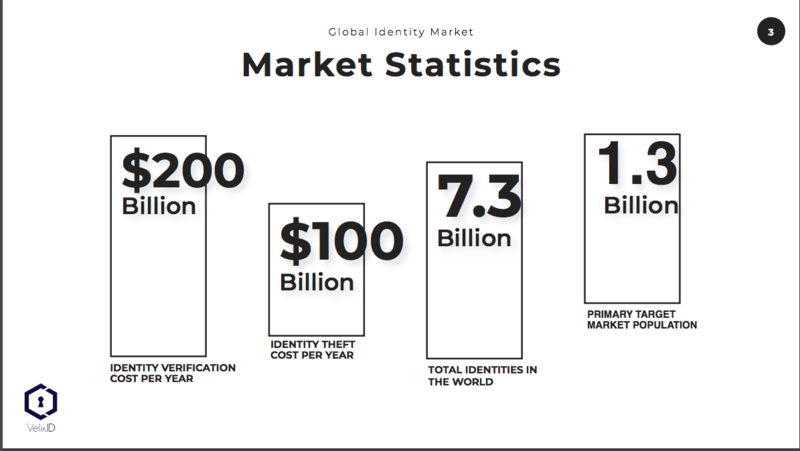 Such approach will become a groundbreaking solution to the problem of identity crisis, which has been affecting the world since the first global databases were developed. 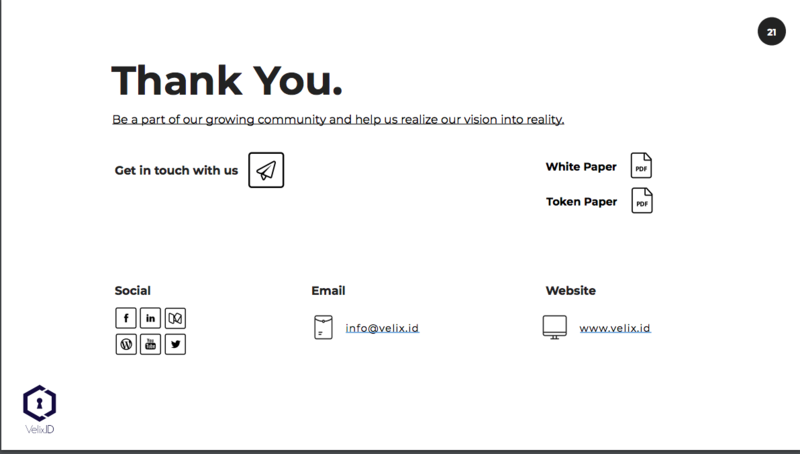 The Velix.ID tokens will be available for purchasing in the coming weeks.